I’m sure lots of you have been to Crufts, dog owners and not. It has, after all, been running since 1891. But, lovely reader, this was our very first time. I know. We can’t quite believe it either. We have had dogs since 2010, so not sure what took us so long. But rest assured, it’s most definitely now an annual outing for us. It. Was. Magic. The problem was that we only went on the Saturday. We had no idea how big Crufts actually is. The NEC is huge, we all know that, but Crufts takes up the WHOLE arena. Every inch. There are dogs everywhere, dog-mad people swarming round the five halls and every single pet brand you could ever need and want under one (big) roof. Dog food, dog beds, dog accessories, dog jumpers, leads, collars, harnesses, 3D prints of your dog, dog statues, dog jewellery…. want me to go on? One of the best bits of Crufts, however, is the Discover Dogs section. It does what it says on the tin - you can literally discover any dog breed. Thinking of getting a Dandie Dinmont Terrier? See one here! Want an American Cocker Spaniel? Yep, stroke one here. Of course I came away from Crufts having fallen in love with multiple breeds. Obviously Dachshunds are my life, but Borzois (above) stole my heart, as did the Skye terrier (above right). The Komondor (below right) is quite remarkable, and the Bedlington Terrier (below right) is just so cute. But Crufts isn’t only about Discover Dogs (Even though we spent A LOT of time sussing out the breeds). It’s obviously about best in breeds/group/show. Showing dogs is akin to a sport for the people bringing their dogs to Crufts. It’s competition, but most of all, it’s about being proud about the breed and the dog. We spoke to many people at Crufts, asking lots of questions, and Rose, below, really was very compelling. Her stories were amazing! Rose has nine Dachshunds. The middle one in this picture is a champion stud. She was telling us that this is 60th year of showing at Crufts. 60 years! That’s dedication. But what was abundantly clear from speaking to Rose for just a few minutes is that her love for the breed and pride for her dogs far outweighs anything else. Yes, she loves the competition element, but for her, it was showing off her gorgeous pups and gaining notoriety with the breed. She did breed Dachshunds, but this was really a bi-product of having lots in her house. It just so happens that she became known for breeding champions! She told us she has had six champion dogs in her history of the breed, that’s quite something! And the most she spoke about the years gone by showing these amazing dogs, the more animated and happy she got. She also told us that she was the first person in the UK to bring over a stud Manchester terrier, and bred him here. Which meant that every subsequent Manchester terrier was a descendant of her own dog. Rose’s enthusiasm and energy for Crufts was so infectious. It made us want to talk to everyone, to find out why people were really there. Why they were so invested in the competition and the breeds. Apart from Popsy (@popsysjourney) looking so unbelievably cute, the photography on her Instagram profile is just. so. nice. No, it’s nicer than nice. It’s bloody amazing! It’s the way her mum, Sandra, captures such gorgeous moments. We particularly like the shots of Popsy’s face in the hands of her owner. Cuteness overload! And doesn’t snow make everything look instantly pretty? Especially dogs! 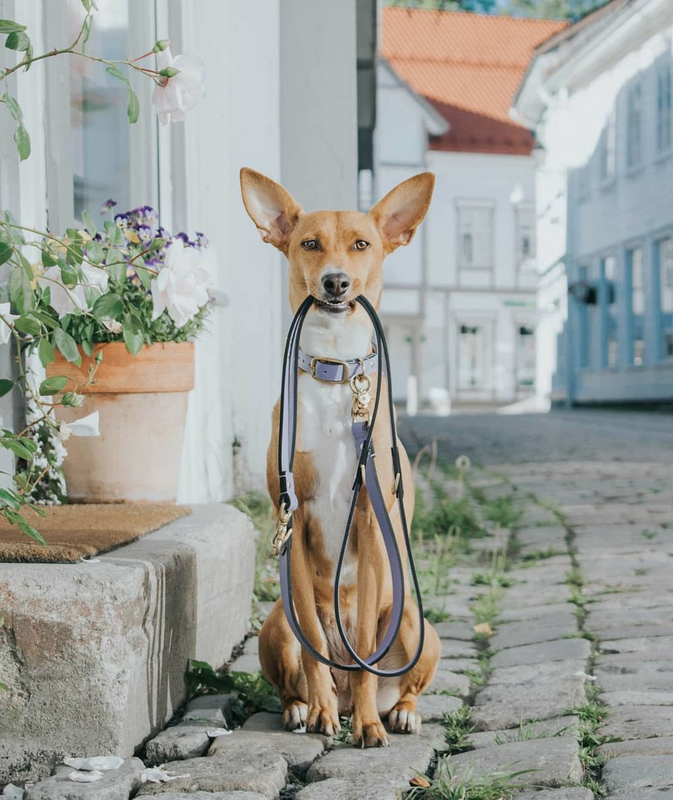 We’re told on her Instagram profile all the technical details of the amazing pictures: ‘#PopsysJourney 2,5 y/o Podenco/Podengo mix 📷 Nikon D5300 lens: 18-55mm’. Us: Where do you get your amazing fashion sense from? Popsy: I want to give my mum this credit, because she's the one with the fashion sense. And I'm too lazy too care. Us: What's your favourite outfit and why? Popsy: My favorite outfit is the @ghaladogs collar and leash set I have, the quality is amazing and very comfy to wear plus I look good AF! And I want to mention my fleece sweater(s) mum makes for me, they keep me warm on chilly days. And pink is definitely my color. Us: What's your favourite thing about mum and dad? Popsy: My favorite thing about mum is that she always takes care of me, take me out on walkies and are always available for cuddles. My favorite thing about dad is that he is easy to manipulate. I always get to taste he's human food! Us: Favourite things to do in Arendal? Popsy: Favorite thing to do in Arendal is walkies with friends! I have so many friends and I'm not particularly fond of playing, but company on walkies are the best! Popsy: Everyone should know by now that I'm a diva, I'm the Queen and I rule this world! We really do search high and low in the socialsphere to find the best in Insta-famous pups for this segment, and doing so, we see SO much gorgeous photography. The two Russion Borzois, Zarwoe and Laska (@zarwoe.oligarch) really captured our hearts. Us: What’s the best thing to do to keep warm in the snow? Them: We are Russians so cold weather is paradise for us, but when it’s really really cold -30-45 degrees - the best way to keep warm is to run and run fast and play. But mom and dad also give us a vest on when it’s that cold. Us: Do you prefer city life or wilderness? And why? Them: We prefer the wilderness now there is two of us. Without each other it could be a little lonely. There is many good thing about living in the city. We grew up in the middle of Copenhagen so we know. If there is one thing we miss from the town it’s our dog friends. But to run out here in this amazing landscape like our native landscape it’s hard to beat. Us: Best thing about your brother, and best thing about your sister? Them: My brother is so patient with me and very kind, even when I’m a bit annoying sometimes, but I’m his little sister so what’s not to like! Us: Favourite things to do in Jamtland? Them: Walking with mom and dad out in the mountains, smelling all the footprints after the wild animals and have a run in the snow. Us: One thing people should know about both? Them: We are quite a tough breed. Many think sighthounds are freezing all the time but we are made for the cold. My little sister wants to sleep every night between mom and dad. Mom has had dogs all her life but she said we are the most clever dogs of them all! You may never have heard of the New York fashion label, Monse (pronounced MON-SAY), before, but you may have seen their dog charity efforts in the press lately. Cute, right? 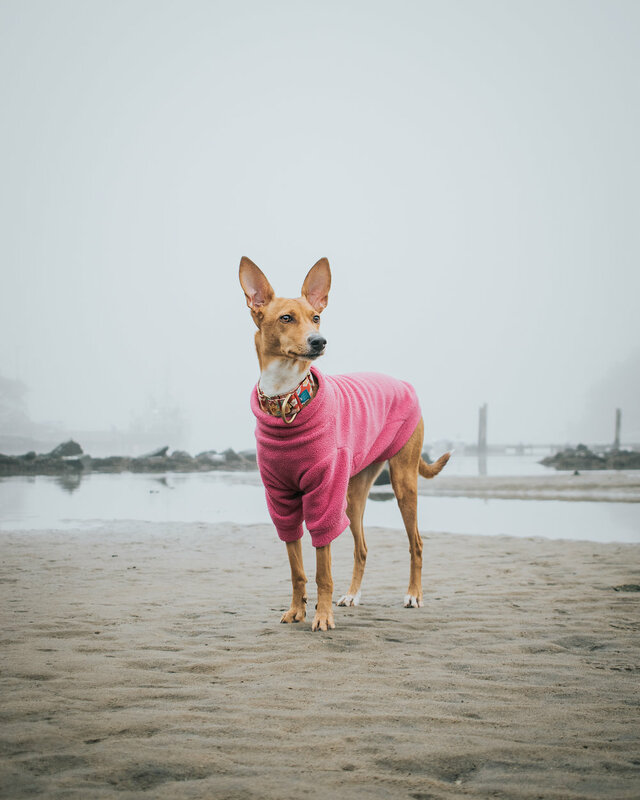 At first site, you’d just think the designers really really liked dogs, which they do, but look a bit closer - at their website or their Instagram account - and you’ll see that each dog in this look book is actually up for adoption through one of the six charities. Now THIS is how you include dogs in a fashion shoot! If you head over to their website, www.monse.com, you’ll be able to click through to each dog and see a proper profile on them, and hopefully (if you’re in NYC), offer them a new loving home! Or if you can’t offer a dog a home, you could always contribute by purchasing one of the amazing dog sweaters inspired by the collection (one from Monse’s Disney collaboration, with a knitted Pluto on it! ), with 100% of the gross proceeds will go to the six dog shelters that they have partnered with…. Introducing our newest feature… Insta-famous pups! We ask quick fire questions to some of Instagram’s most famous dogs so you can get to know the pooch behind the screen! Meet our first, @margaret_the_iggy. This little Italian Greyhound resides in Adelaide, Australia, and can often be found in one of the many coffee shops, sporting the latest in doggy couture. Her Instagram bio reads: Breed: NOT a Whippet. Hobby: Strutting the streets of Adelaide. Aspiration: Obtain keys to the city. Scroll down to learn more about Margaret. Her: It’s just something I was born with. You either have it or you don’t. Her: Definitely my citrus onesie. It’s fresh and vibrant, an outfit for all occasions. Her: My favourite thing about Mum is that she encourages me to pursue my dreams. I have so many talents which I need to explore and develop, and she always supports me in this. My favourite thing about Dad is that he works really hard every day to earn enough money to support me financially. I have really expensive tastes, and I won’t settle for second best. Us: Favourite things to do in Adelaide? Her: I just love getting out and about on the weekend with Jerry and visiting Adelaide’s many hipster coffee shops and bars. Unlike other major celebrities, I really enjoy mingling with the common folk. Adelaide has very few A-grade celebrities like myself and it gives people a real buzz when they see me on the street. Plus, it keeps me grounded, which I think is important. Her: I am a really quick judge of character. I decide within seconds if I like somebody or not and if I don’t, there is nothing they can do to change my mind. This is a good skill to have, because everyone wants to be my friend, and I only have limited spots available. No one feels the cold like our four-legged friends. 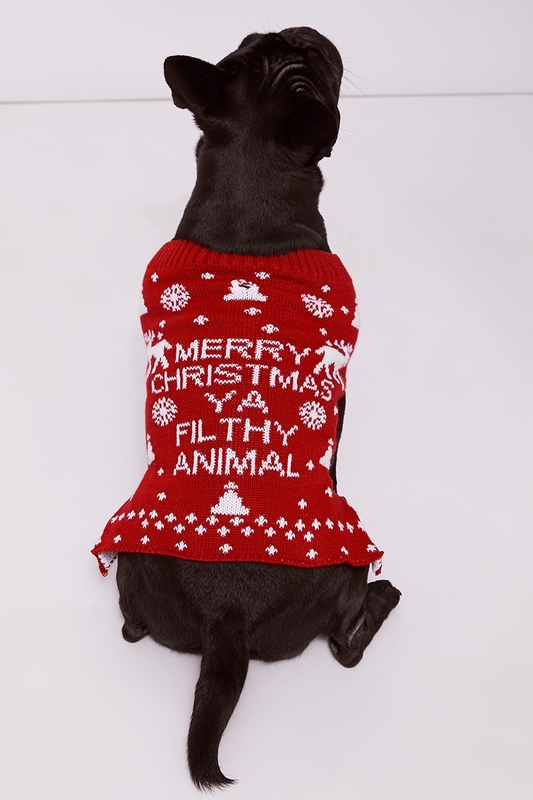 And while you have your Christmas jumper washed and ironed ready for the big day, you might have forgotten something special for the pup. But don’t fear. We’re here to help! 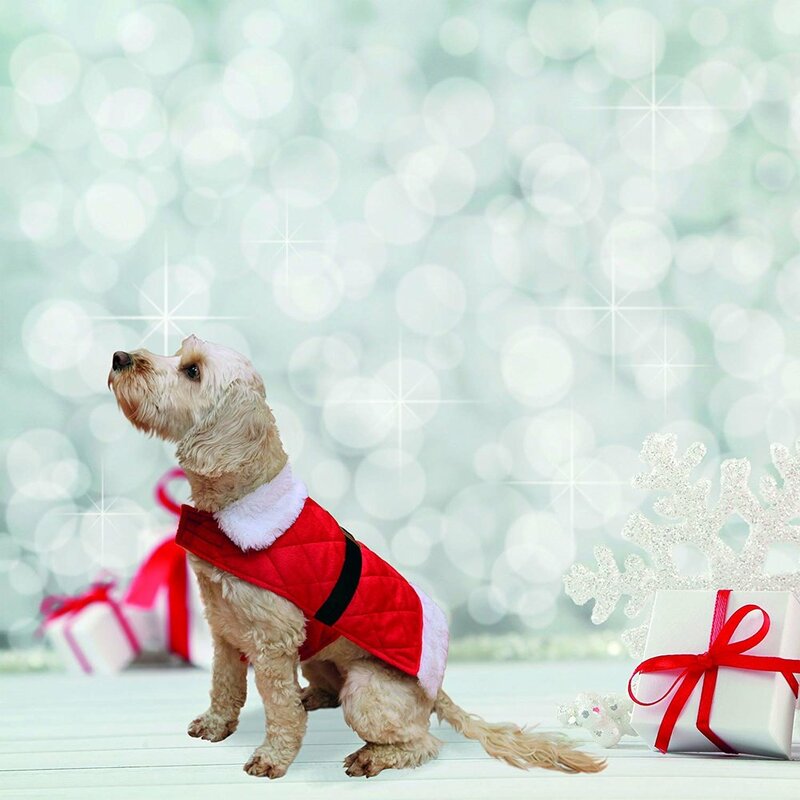 It seems that every year, more and more retailers are catering for the little fur babies. It’s amazing… now they have just as much choice as we do. Maybe even more! 3D Santas, embellishments, reindeers and some amazing slogan Christmas jumpers are all available right now! Anyone else buy WAY more for their dogs at Christmas than anyone else in the family? I just can’t walk past a pet aisle in a supermarket without shoving festive toys, treats, clothes and advent calendars in the trolly. And they don’t even know what’s going on! They don’t even appreciate any of it! Well, maybe the treats, but they don’t know they are santa shaped! More about advent calendars though… who doesn’t love opening a door a day and chomping on the chocolatey goodness inside? And guess what, DOGS LOVE THEM TOO! And there are lots to choose from! Take a look below, get one, and then just enjoy the look of love on the dog’s faces when they hear you open those doors! Ever wondered what your dog gets up to all day everyday? You may just think he or she paces around the room or sleeps for hours on end, but it’s only until you watch them, secretly, that you learn their habits. Could you imagine doing this to a human? You wouldn’t get away with it. But pets are different. You want to know they are OK. That they are drinking, eating, and not chewing on your new sofa. MEET YOUR NEW BEST FRIEND… FURBO! Can we just appreciate how well it fits with your lamps and other nic nacs? It’s so unassuming. One might think it’s one of those room air fresheners that pump out a spray every 3 minutes, but oh no! It’s a gateway to interacting with your dog when you’re not at home. The people behind Furbo have worked with professional trainers and vets to develop the best technology and the most useful features to make this little machine the perfect device for dog owners. There is also a talk function too, where you can speak to your dog. I’ve had to use it a couple of times… once where Dolly was climbing on the furniture to get onto a shelf. There was lots of screaming, and lots of treats being thrown, and eventually she came down. If we didn’t have the Furbo, there’d be smashed glass everywhere! Sadly our other dog, Dhillon, HATES the talk function. He’s scared of it. He’ll run off and hide. But then again he is a very precious little dog! The camera (1080px, 160 degree wide-angle view, 4x digital zoom) also has an LED night vision function… perfect for when your lamp timers go off! I have to admit though, in the dark you can see bright eyes, which is a tad scary, but at least you know they aren’t doing anything they shouldn’t be! By the way, all this can be done from your mobile phone (just download the app), 24/7. There’s a BARK function too, which you can set to be sensitive or less so, which sends a notification to your phone when they are barking. Or when the cleaner is using the hoover (don’t tell her!). It’s all very convenient, and actually a life saver. To be communicado with your dogs is a genius move! If only they could talk back! You can get the Furbo for £199 instead of £249 right now, which is a big saving! See more, and get yourself one, here. Another charity collaboration for you to marvel at… this time, it’s with British retailer, White Stuff, and UK institution, Battersea Dogs & Cats home. And it’s oh-so-amazing! The collection is full of amazing jumpers, tees and tops, and what we love about it is its fun factor: bright, colourful, full of energy. And the shoot! That poodle! The gorgeous cat! It all looks so great styled up. Shame there isn’t any menswear, not sure why we were left out, but there’s lots for women and kids, and even a couple of cute matchy matchy looks too. It seems this blog is just overrun with charity collaborations, but we're OK with that! All for a good cause. And this one is a goody... Wild At Heart Foundation (WAHF) and PRAI Beauty have collaborated on one AMAZING product! Nikki Tibbles - florist and co-founder of WAHF, and Cathy Kangas - founder of PRAI Beauty, are both huge dog people. Between them they have 11 four-legged friends. Nikki is always off around the world offering neutering and rescue programmes for the stray dog population, and Cathy is on the board of the Humane Society doing all she can to help the rehoming structure in the USA. These ladies mean business! So they came together and have now launched this limited edition run of PRAI's best-selling Throat and Decolletage Creme, with the gorgeous crystal dog design. £5 from every sale will go directly to the WAHF to help fund their initiatives in Puerto Rico. Our #1 Selling Product! This weightless créme developed specifically for the throat and décolletage helps to promote cell firmness and resiliency, while absorbing with minimal blending to avoid skin stretching. The number one selling formula is comprised of Sepilift DPHP™ to restore elasticity and support skin’s collagen. Shea butter, Hyaluronic Acid, Squalene and Glycerin keep skin supple and visibly reduce and correct the signs of aging. Go on, treat yourself. And help some dogs! Find out more on the PRAI Beauty page here, and take a look at the WAHF website here. It's so heartwarming to see such a spotlight on animal welfare at the moment, especially the whole plastic in our oceans crisis (see more here). Obviously anything dog related is specifically important to us too. Anyone else been watching Paul O'Grady's For The Love Of Dogs - India? There seems to be a massive problem with stray dogs in India, lots suffering from diseases and dehydration. But programes like Paul's, and charities like TOLFA (Tree Of Life For Animals), based in Rajasthan, are key to helping the issue in India. TOLFA is a rescue centre that works to eradicate rabies and to treat injured animals, as well as sterilize street dogs and rehome too. They have teamed up with amazing artist, Saira Hunjan, to create an exclusive T-shirt with all proceeds going to help rescued animals in India. Saira, a renowned tattoo artist, has also worked with fashion brands Tod's, Orlebar Brown and Ettinger to create exclusive ranges using her intricate, delicate artwork that has been printed on bags and clothes, and etched into accessories. And now she has drawn this enchanting Indian inspired piece for this collaboration. "The magical TOLFA dog goddess is a reminder to see the divine in all. She helps to protect all that are guided to her for love and kindness. Under the Tree of Life, she gives shelter and nourishment. And from her heart she radiates the light to heal.” Says Saria. This is such an amazing and important charity to support, so if you're feeling generous, please do click here to buy a T-shirt (starting from £10), and click here to see more about TOLFA. Here's the thing... we have two dogs: one who likes ALL, ANY, WHATEVER food (Dolly, the rescue), and the other (Dhillon) is fussy and particular, often turning his nose up at new tastes. Like a true diva. So when it comes to finding food they are both into, it gets tricky. Not that they both have to like the same food, but to be honest, it just makes life SO much easier. When we are offered food to review I'm always nervous Dhillon will just turn his head, so tend not to take anyone up on the offer. But I had a feeling with Nineteen 87. I'd read some reviews before saying yes to reviewing, and it seemed to be favourable by lots of difficult pooches. THEY WEREN'T WRONG! DHILLON LOVES IT! And the reason why Dhillon likes it: It's completely uncomplicated! 50% chicken, lamb, beef or salmon, some plants and extracts and some amazing vitamins and minerals to keep the dogs healthy. That's it! No nasties, no wheat, no maize, no rice. No fillers basically. I told you Dhillon is fussy! We can't really rely on Dolly for an honest review as she just gobbles up any food, however her tail is SUPER waggy when she's eating Nineteen 87. I wouldn't recommend any old food to you guys, but this one is a winner! The name is the year that Graham, the creator, started working in the pet food industry. The kibble is the perfect size for all dogs. The packaging is super lovely, with a little illustration by artist John Byrne, of his own dog, Mischa. It's all baked, which locks in all the goodness. And it's all made in Graham's bakery in St Asaph, Wales. You can see more from the brand and buy the food over on their site, here. Santa Paws - Christmas market for dogs, coming soon! About time too! Put Sunday 26th November in your diaries people... the lovely people at Fetch & Fellow, the ultra fab doggy lifestyle brand, have curated a special dog Christmas market. Taking place at Netil Market, E8 3EL, between 11-4pm, expect stalls showing off amazingly stylish dog accessories, artisan dog treats and even some human gifts too, obviously all with a puppy theme. Get ready to splash the cash! Some of the brands you'll be able to buy from on the day: Fetch & Fellow, Lead the Walk, Growlees and Edition 12. And food wise, there'll be doggy peanut butter from Neoh & nobo, treats from The Artisan Pet Deli and 'pupcakes' from Blues Bakery. Pet photographer, Rachel Oates, will also be on hand if anyone fancies a cute Christmas family portrait taken in the special pop-up studio. And the best bit... a percentage of the stalls hire will be donated to London rescue charity All Dogs Matter. So go and spend to give back too! Pet shops and supermarkets are FULL with a million different varieties of treats, from hide chews to low-fat cheesy bites, but the minute you start to look further afield, to the new emerging brands doing slightly different things with treats, you find those really good ones. And good news, they're not bank-breaking, which is the first thing people think of with anything other than Pedigree. There's no reason why I put this first, however anything that enhances sleep with Dolly is a plus. She likes to bark at night at the moment. Both dogs seem to LOVE these little bone-shaped biscuits. They contain flaxseed, camomile and pumpkin seed, and have no added artificial colourants, no added preservatives and no wheat and wheat gluten. Rescuing a five-year-old Dachshund is amazing, but it comes with its issues, the main one being that they are stubborn by nature, so hard to train. But Dolly responds really well to these little bits of heaven. They are made with the finest beef, and contain no nasties. Just meet. i wouldn't give them too many of these though, as they are so high in protein. A couple is fine. These are another favourite of my two... they love them! Dhillon likes them because they are soft. They are made with 95% real meat, which is actually, strangely, quite unusual for dog treats. They come in this flavour and also beef and chicken. Dhillon used to be fed a raw food diet, so he loves anything that is really meaty. These are gluten free with no artificial flavours and colours. It was only a matter of time until someone clever came up with the same concept as Graze for humans but for dogs. These little boxes, full of amazing, Devon-made treats, are pure brilliance! You can just buy a one off box (they also do little bags of treats and tins), or you can subscribe to have them delivered either every 21, 30 or 45 days. This is the big box, which is £12, the small boxes are £6.75 for a one time purchase. There are lots of options to chose from: treats for fur, eyes, chill out treats and a box for fussy pups (perfect for Dhillon!). They are quite hard, but Dhillon managed them well. The boxes come with a little pouch too, so you can empty the trays into the bags for easy use. So when Barkers got in touch again to see if Dhillon fancied a little cut and blow dry, he woofed at the chance! Difference this time is that he has a sister, Dolly! And Dolly is a rescue dog, so as far as we were concerned, this could have been her very first time at a groomers! She did have VERY hairy eyebrows and beard. We were nervous actually, who knows how dogs will act towards something/someone for the first time. But we knew she was in good hands with the Barkers lot - it was actually Tanya who dealt with Dolly, she cut Dhillon last time, and she made us feel really relaxed that everything was going to be fine. These guys are trained up to know how to handle every type of dog. Both dogs had full grooms, pawdicures and a fresh breath treatment. They came out looking shiny, sparkly and cuter than ever! Barkers offer lots of treatments at their dog spas: Bath and dry, nail clipping, cleansing tear stain treatment, even a deep sea mud bath. There really is something for everyone! And what's more, their extensive range of dog foods and treats (see the doggy frozen yogurt below), dog clothes, beds, lead, collars and toys is really really amazing! They have so much to choose from, it's hard to leave without a big bag of new stuff for your pooch. Dhilly and Dolly left with bags of treats, and new cuts to impress their four legged friends. Check out all Barkers have to offer here. How dog-friendly are your locals? The people over at Dog Buddy - the site making it easier to find the perfect dog sitter - have created this brilliant study all about the Great British pub and how dog-friendly they are. Based on 3000 dog owners, the findings lead to some interesting facts (over 30% still struggled to find a dog-friendly pub) and ultimately show that there might be some way to go before we can call ourselves a truly pup friendly nation. Dog Buddy have also started their own Dog Friendly Pub Awards off the back of this piece of research. You can now vote for your favourite watering hole. And if you don't know where your local is, they've made it even easier... just have a search here > www.dogbuddypubs.com. Thank us, and them, later! Because who doesn't love doggy crockery? Dachshund, pug, labrador, Anthropologie's amazing plate collection is the perfect thing for dog lovers. In bright, statement colours, these kitchen heroes are just so gorgeous. We popped into the store on Regent Street, London, and can confirm that they are even better in the flesh! They are designed by renowned doggy portrait painter, Sally Muir, who has dedicated her art career to painting amazing portraits of humans and animals, as well as stunning landscapes. You can get in touch with Sally here, she takes commissions too! So if you see your own breed, or even if you are just a dog admirer, make sure you get your order in quickly, they are selling fast! And take a look at the Dachshund server plate too, it's incredible! 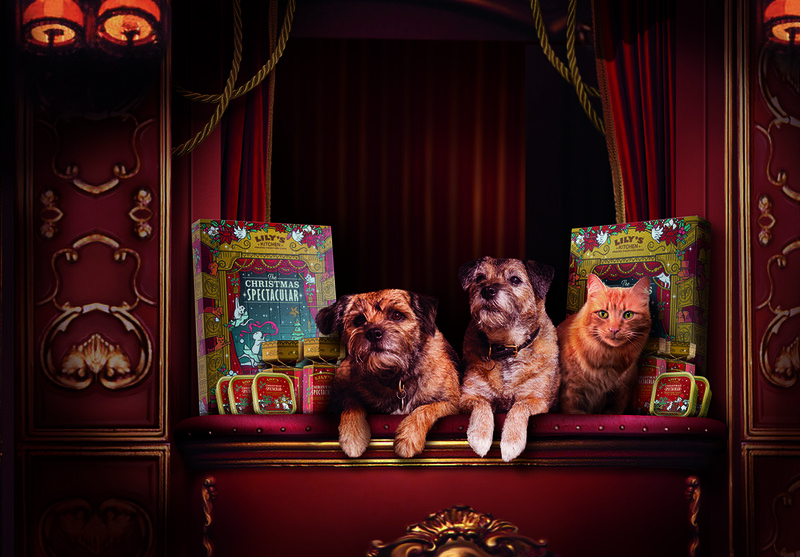 Welcome to London's best pet model agency! I know I'm biased, but my mini Daxie, Dhillon, is the most handsome dog ever. All dog owners say the same, but it's true with him. He's a good looking pooch. So much so that when I got in touch with Pet London Models to see if they fancied representing him, they emailed back to ask him in for, what they call in the modelling world, a 'go see'. Side note: we went to see the PLM peeps on the hottest day of the year, right in the middle of the UK heat wave, hence why the pictures below of Dhillon all have his tongue hanging out. Pet London Models was founded in 2002 after the Director of the company saw first-hand the mistreatment of animals on shoots and sets. He wanted to change this, and his rule now is 'the animals come first'. From dogs to cats, birds to reptiles, and even horses, Pet London Models represent over 3000 pet models now, and some have featured in film, TV, adverts, magazine shoots (see this gorgeous cat editorial in Tatler magazine). Let's hope Dhillon makes it on the big screen soon! Their client list, by the way, is super impressive: Harrods, ASOS, John Lewis, Harper's Bazaar, Vogue, Mulberry... the list goes on! If you think your pet could handle life in front of the lens, take a look at their site here. Good luck, and stay tuned for Dhillon updates! Gentle giant Lottie, the Bull Mastiff (six-years-old) is a sweet-natured, sensitive girl with a huge heart who loves spending time with her human friends. Being a shy girl, she is looking for new owners who can help her to settle in and get used to her new environment at her own pace. Lottie does have slightly impaired eyesight so is looking for a calm, adult-only home where she can feel comfortable. Lottie is full of fun and has a lot of love to give but is looking for someone who can visit the centre multiple times so she can get to know you first. As long as you have a tasty treat and take things slowly, you’ll have a friend for life.